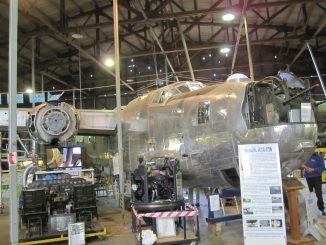 Many of our readers may have seen the story we published on the Consolidated B-24 Liberator under restoration in Werribee, Australia a few weeks back (HERE). 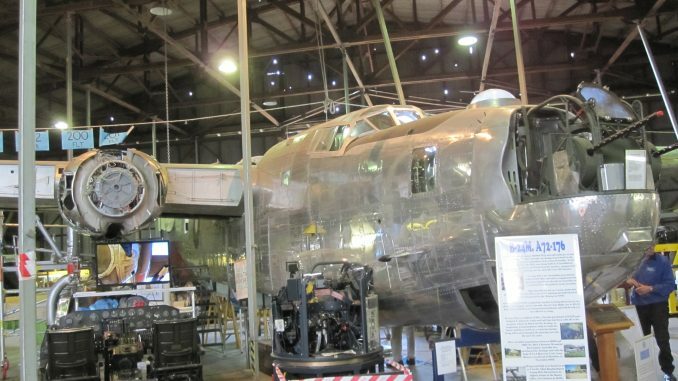 As it happens, this aircraft turns seventy years old on September 28th, so her carers, The B-24 Liberator Memorial Fund, are holding a birthday party for the old girl inside the restoration hangar that day between 9:30am and 4:30pm. There will be quite a few activities at the event including engine runs. Some of the gun turrets will be operating as well, though as floor exhibits rather than in the plane itself. Museum volunteers will also demonstrate how a Norden bombsight works and also hope to get the radar operating too. A military re-enactment group will be present, and docents will conduct guided tours of the aircraft. Food will be available, including a sausage sizzle, and morning/afternoon teas. A jumping castle will also be on site for young children, so bring the family along! The museum will be asking for a very reasonable AU$5 donation upon entry to the premises of course. 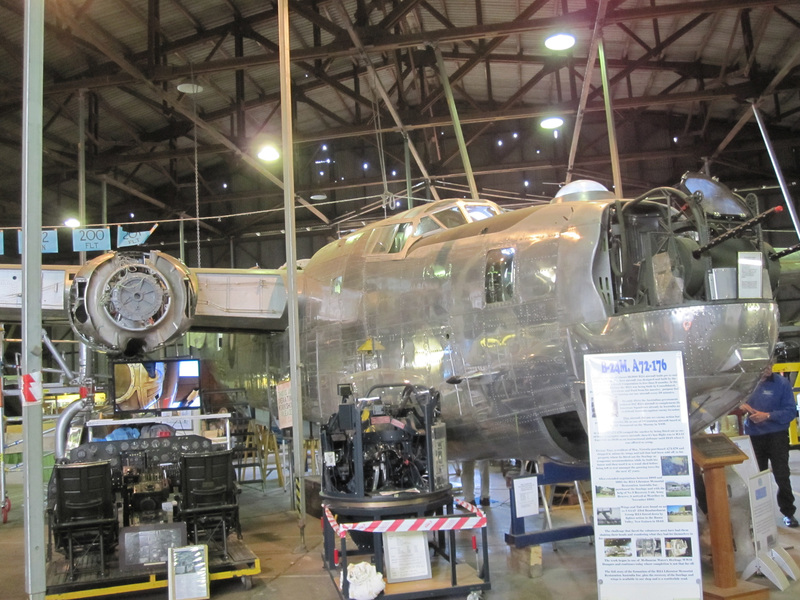 This will all go towards helping complete the Liberator’s restoration. For those wishing to take part, the hangar is located at the now disused WWII airfield in Werribee at the corner of Farm Rd. and Princes Highway. GPS devices don’t recognize the hangar, as it doesn’t have a street address, but if you enter Farm Rd on the device that will get you close by. 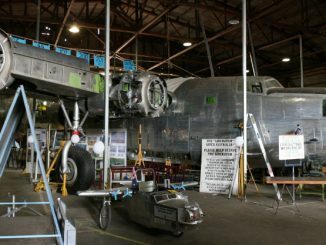 For those who can’t visit, but would like to help contribute to the restoration of Liberator A72-176, the last surviving Australian B-24, please click HERE to find out the details.